SCVHistory.com LW2879 | Golden Oak Ranch | Lobby Card: Tommy Kirk in 'Old Yeller,' Placerita Scene, 1957. 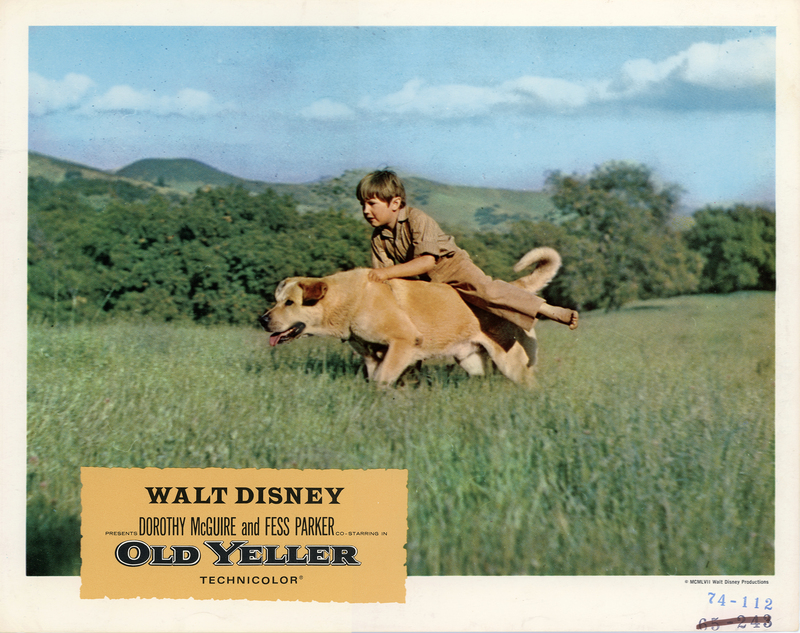 Tommy Kirk and the title character dash across a field at (then-)Lloyd Earl's Golden Oak Ranch in Placerita Canyon in Disney's 1957 feature production, "Old Yeller." This scene is identified as the Golden Oak Ranch in Disney's "Lost Treasures: Ranch of the Golden Oak." 11x14-inch lobby card. LW2879: 9600 dpi jpeg from original lobby card purchased 2017 by Leon Worden.